Cadillac’s new CT6 flagship sedan was launched in China at the Cadillac Arena in Beijing. It offers the newest iteration of Cadillac’s design language featured on the Escala concept. The new-generation CT6 embodies Cadillac’s Art and Science design philosophy. With a length of 5,223 mm and wheelbase of 3,109 mm, it stands out in its class. 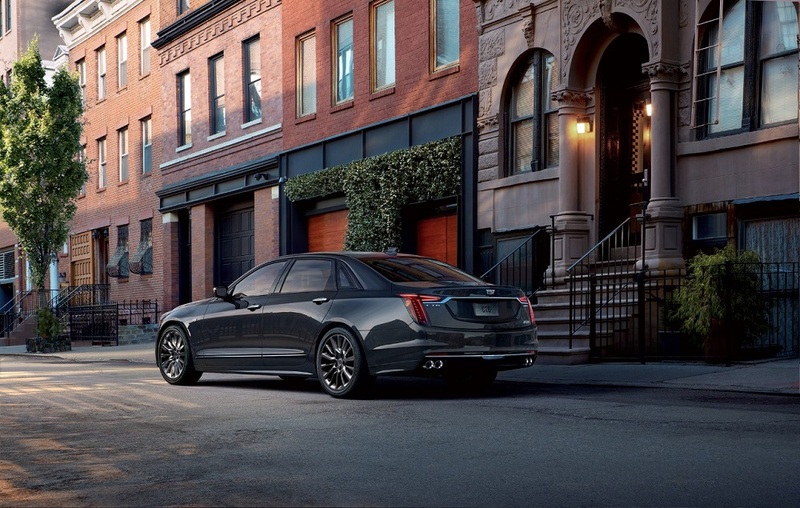 The exterior inherits Cadillac’s “Y” trim strategy, catering to individualized customer preferences. Premium Luxury variants have an exquisite and luxurious feel with bright details. Sport variants have dark-painted details and exclusive design elements such as a dark-colored V-shape mesh grille as well as front, left and right skirts, black trim on windows and a sporty rear spoiler. A total of 202 LED light sources add a distinct and dazzling appeal. “Eagle-eye” dual-lens automatic LED headlamps have a flatter and more slender design. Newly designed wing-shaped LED taillights add a multi-dimensional illumination effect. An LED high-mounted stop light strip appears as a delicate straight line consisting of 42 LED light sources, underscoring Cadillac’s premium styling. Customers have a choice of six exterior colors: Diamond White, Obsidian Black, Chrome Grey, Crimson Brown, Chalcedony Purple and Zirconium Grey. The luxuriously appointed interior is characterized by the extensive use of carefully selected leather materials, cut-and-sewn French double-stitching and unique chevron-shaped perforations on surfaces, leveraging classic Cadillac elements in a unique way. 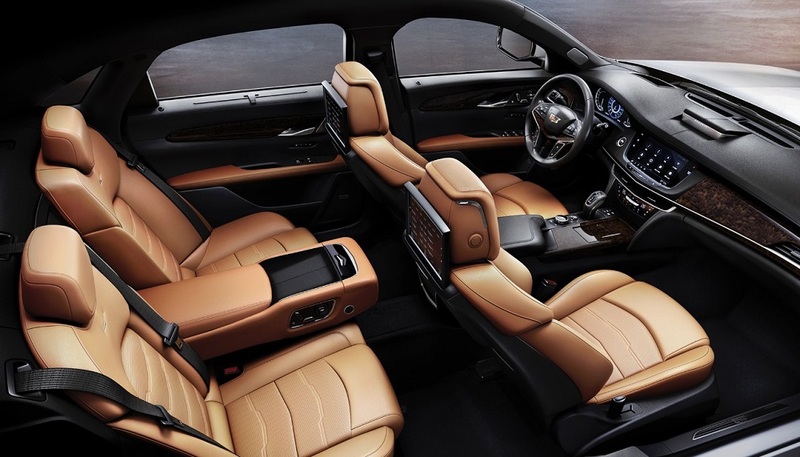 The interior is available in four colors: Champagne, Ebony Black, Laurel Brown and Shiny Black. Luxury amenities include a hands-free power liftgate with the anti-pinch function, versatile seats integrated with a five-mode and three-intensity massage function, four-zone automatic air-conditioning for a relaxing experience for all passengers, and a full-color head-up display (HUD). The Bose Panaray sound system, coupled with Bose ANC technology, presents a distinguished immersive acoustic experience. Thirty-four speakers are cleverly deployed throughout the cabin. The new CT6 has adopted an all-new powertrain, with innovative technologies that are being applied in China for the first time. The all-new 2.0L turbocharged engine - one of GM’s eighth-generation Ecotec engines - is based on an optimized single-cylinder architecture design. It integrates highly intelligent electrically enabled technology. The result is high efficiency, low emissions and low fuel consumption to meet China’s National VI-B emissions standard. The engine’s innovative Tripower system adopts three-step sliding camshafts to enable shifting between three distinct operating modes - four-cylinder performance mode, four-cylinder eco mode and two-cylinder super-eco mode - in accordance with output requirements. Working together with cutting-edge technology such as an active thermal management (ATM) system and a 35Mpa high-pressure direct injection system, it enables the engine to enhance torque at lower speeds and produce 350 Nm of peak torque between 1,500 rpm and 4,000 rpm, as well as 177 kW of maximum power. The CT6 comes standard with a 10-speed automatic transmission for smooth and refined power delivery, making it a pioneer in its class. The transmission integrates compact planetary gears and a lighter, thinner hydraulic torque converter. It has a lightweight and compact design plus a wide 7.39:1 overall ratio. The application of low-viscosity fluid, fluid preheater technology and an optimized gear assembly design reduces friction and mechanical loss, significantly improving fuel economy. Combined fuel consumption of the new-generation CT6 has improved by over 10 percent from the previous generation to 7.1-liter/100km. 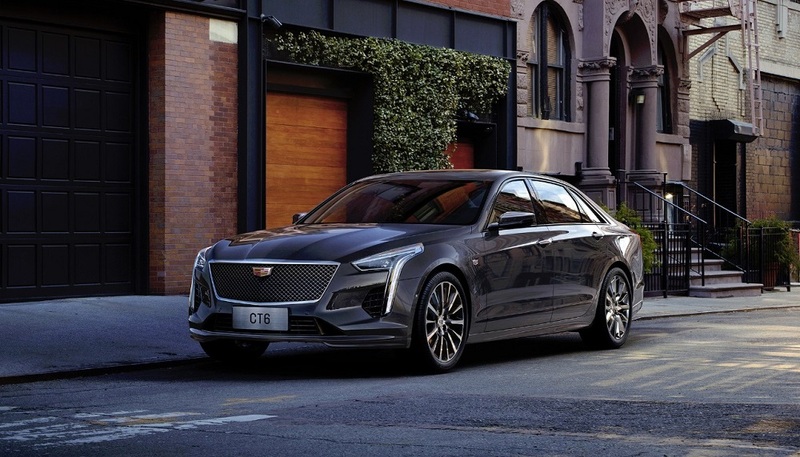 The new-generation CT6 comes with the latest Cadillac user experience (CUE) and innovative cloud-based connectivity. It supports over-the-air (OTA) updates of the OnStar module and infotainment system. Crafted with world-class technology and 11 composite materials, the new model’s lightweight body has best-in-class torsional rigidity. It adds to the precise drivability, better stability and enhanced crashworthiness. The Cadillac CT6 with 6 variants is priced between RMB 379,700 and RMB 539,700.